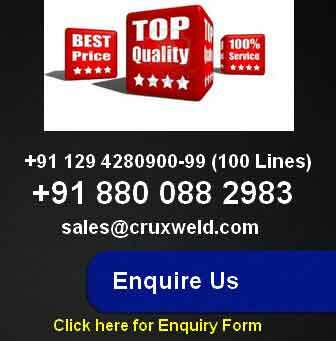 “CruxWeld” offers a wide range of SAW Welding Machines that is directly applied in the automatic welding of metal. Submerged Arc Welding Machines are developed & designed by using true standard quality of raw material and advanced technology in abidance with the ISO standards. These SAW Welding Machines are mostly used in heavy pipelines, pressure vessels, tanks, boilers, heat ex-changers. 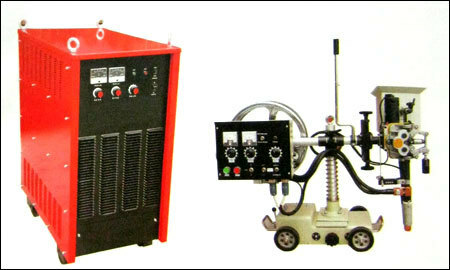 We offered these welding machines to client at most competitive prices. Most suitable for automatic welding in flat position. Minimum running cost and less maintenance. Protected from rugged and robust design. Complete H-class winding design to provide long life. Thermal resistant and air cooling units, highly efficient energy saving. True standard characteristics to get very stable and smooth arc. Noiseless and easy arc sticking.